I love my iPhone. iPhones can do anything! 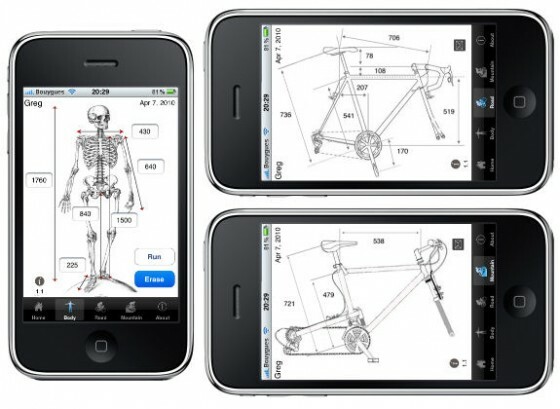 Now it can help you fit the right sized bike for you with SizeMyBike – six body measurements and it computes the optimal road or mountain bike frame for you. Pretty nifty!